Cathay Pacific today announced that it will be increasing the frequency of services to some of its most popular destinations across three continents in order to meet growing customer demand. The enhanced schedules – which apply to San Francisco, Brisbane, Manchester, Paris and Madrid – will provide business and leisure travellers with more choice and greater flexibility in planning their trips, while at the same time strengthening Hong Kong’s position as Asia’s leading aviation hub. As part of a redeployment of resources in response to strong demand, San Francisco will be served three times a day following the addition of four flights to its weekly schedule from the end of October 2017. This new daily service will be operated by the Airbus A350, making the West Coast city the first destination in the US to welcome Cathay Pacific’s technologically-advanced aircraft. At the same time, flights to Los Angeles will be reduced from 28 to 21 per week. These changes come on top of previously announced additional services that will operate to Vancouver and Boston from late March. In response to the growing demand for business and leisure travel to Australia, Cathay Pacific is enhancing its customer offering to the country through increased capacity and more non-stop services. During the southern hemisphere’s peak summer period from late October to March, the airline will replace its current four-times weekly one-stop service to Brisbane via Cairns with direct flights to both cities. The switch means that Queensland’s capital will receive 11 non-stop flights from Hong Kong each week, while Cairns will be served non-stop three times a week. In addition to the new non-stop services, Brisbane’s existing daily flight will be served by the A350 from 26 March. 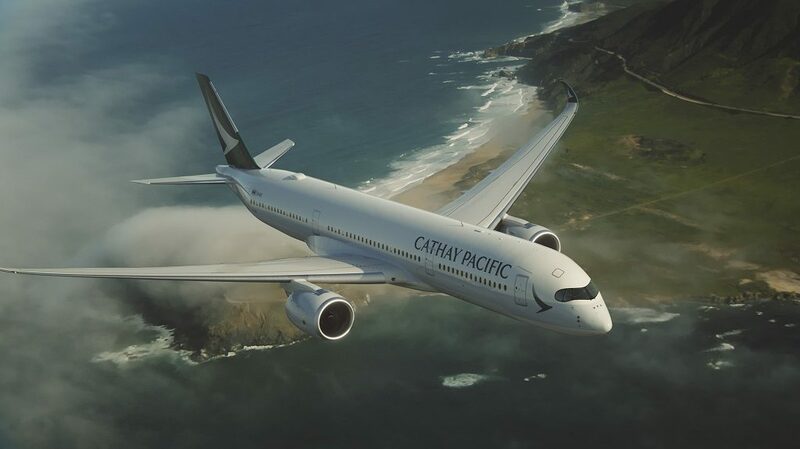 Cathay Pacific also recently announced that from late October, it will increase capacity on its four-times daily Sydney route by operating a third flight with the Boeing 777-300ER. Cathay Pacific has expanded its European network considerably in recent times and the region is set to become better connected than ever before with frequency increases to France, Spain and the United Kingdom. Madrid will see an increase from four to five flights per week from late October, while a sixth weekly flight will operate to Manchester from early December. At the same time, Paris will see the resumption of an 11th weekly service. Paul Loo, Cathay Pacific Director Corporate Development & IT, said the airline’s frequency increases are a direct result of responding to the needs of its customers. “Our network enhancements are designed to improve our customers’ experience through greater choice and added convenience. Increasing frequencies to these popular Cathay Pacific destinations strengthens our ability to connect our passengers with all corners of the world in addition to growing our home hub of Hong Kong,” said Mr Loo. Cathay Pacific currently operates 108 weekly flights to North America, 93 weekly flights to Europe and 75 weekly flights to Australia. The airline will launch a new four times weekly service to Tel Aviv on 26 March and introduce new seasonal services to both Barcelona (summer) and Christchurch (winter) later this year. Details of the new additional services will be available in the Flight Timetable under the Travel Information section at www.cathaypacific.com. Why no A380 for Cathay Pacific? Join 454 other newsletter subscribers and receive a daily update of airline news and latest press releases!